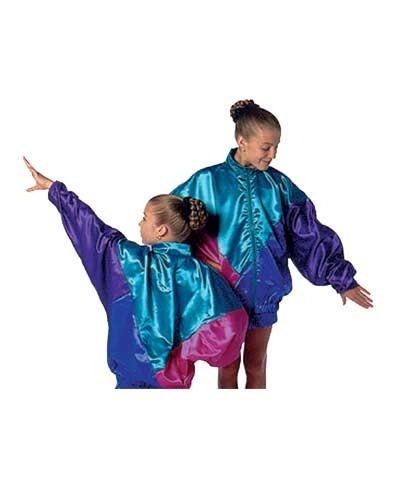 Satin T-Jacket Warmup-Royal/Purple/Teal/Fuchsia. This fabric has a long tradition of special occasions use for dancing the night away. Now you can slip into this luxurious warmup and tumble the day way. This stock warmup is full lined and can be worn with royal satin pants.